Sorry for the Link,you can just copy the above code in your project and run it. I have explain how to implement the above code. 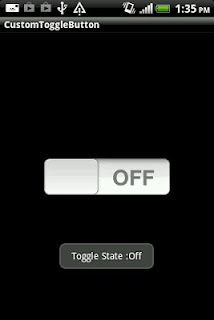 is there any difference between toggle button and switches? i need some help in android can i have the mail adress ? I've tried the code and it works. 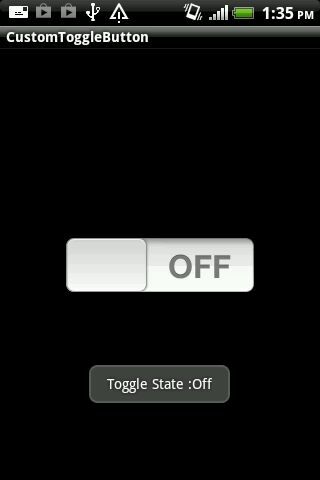 It's a good example of how to start working with custom toggle buttons. It's just that the images do not look good. There are some strange pixels on the edges. Another question would be - what is going to happen with this button on different screen sizes? 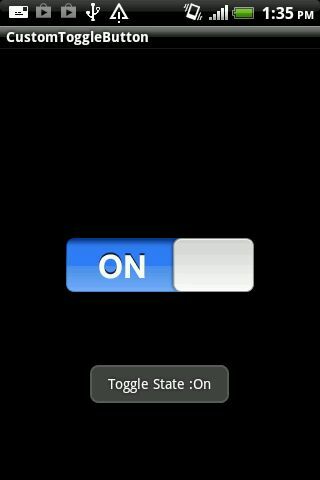 Will it resize properly? be resize according to screen density.